a softly curved leg detail on all of the cabinets. This range has several practical and stylish features including, sideboards that have removable cutlery drawers with an easy clean base, coffee and lamp tables with concealed drawers to maximize space and a desk which features a neat slide-out top panel to increase the workspace area. and runners, it is the best of British design. 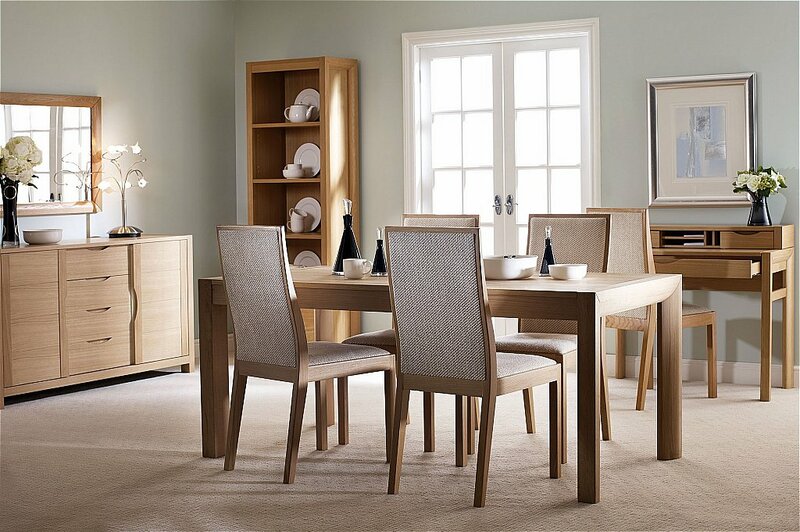 I would like more information about Indus Dining Set by Corndell.